Bravado Sublime Nursing Bra has a feminine flair with it's gorgeous lace. No need to give up feeling fabulous while pregnant or nursing. 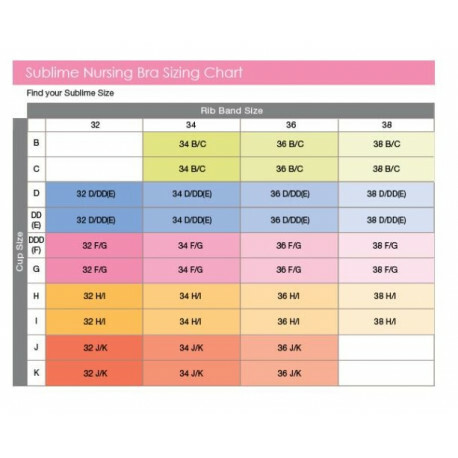 This bra offers uplifting soft cup support for cup sizes up to G! Feather light fabric, adjustable straps and back closure as well as cotton lined drop cups with one handed nursing access...how sublime! This bra proves you can get lift from a soft cup bra. Fabric is breathable cotton blend with stretch lace for a feminine design. Cups drop down and away from your body providing you and your baby with optimal skin-to-skin contact Full One-Handed Nursing Access: Clips easily open and close with one hand.